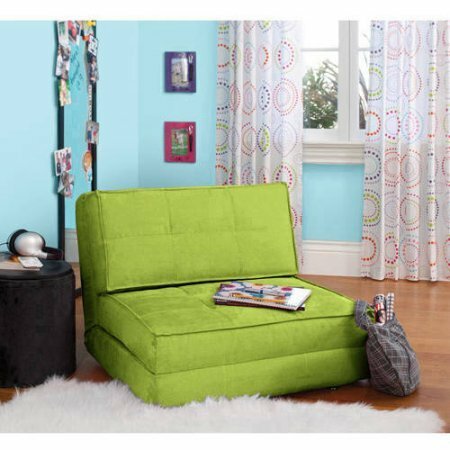 Your Zone Flip Chair Easily Converts Into a Bed - Ultra Suede Material (Green Glaze) by Your Zone at Indsight. Hurry! Limited time offer. Offer valid only while supplies last.